Suggest that your daughter wear black dress and Mud Pie infant girls 3 pack sparkle socks for a fun day out at the playground. This outfit is complemented really well with black sneakers. 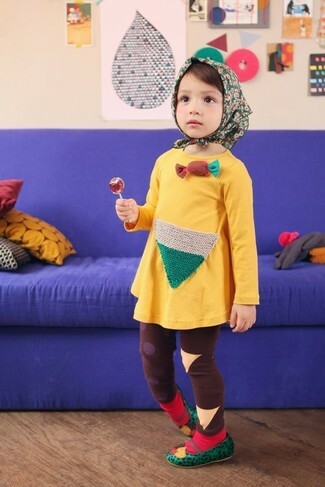 Suggest that your little angel wear yellow dress and red socks for a fun day in the park. Green ballet flats are a savvy choice to round off this ensemble. 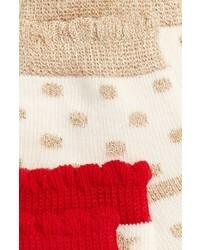 Suggest that your little angel wear a red sweater and Mud Pie infant girls 3 pack sparkle socks for a comfy outfit. Red rain boots are a nice choice to complement this ensemble.